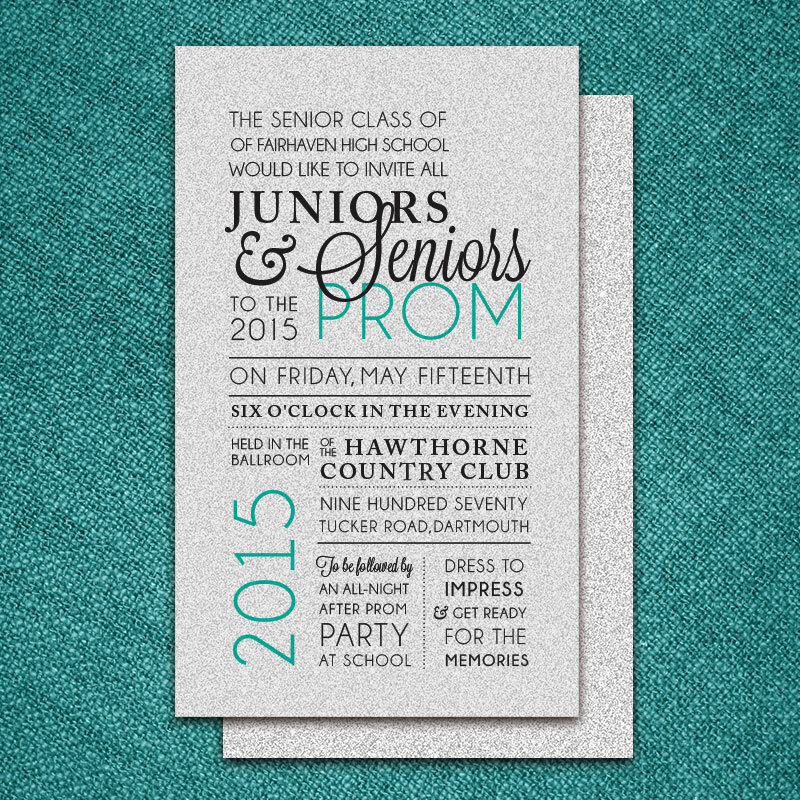 This project was designed for a local high school, whose class officers were looking for a custom prom invitation design. They wanted something modern and fun that would be unique to their night. I had the invitations printed on metallic silver card stock for a glamorous finishing touch, bringing in a little bit of sparkle and helping the invitations to really stand out.